Japan’s signature drink seems to be popping up on bar and restaurant menus all over the place, as guests look for alternatives to standard wine offerings. Interested in serving sake in your venue? Here are six elegant and savoury sakes that provide a good starting point for those that are new to this beverage. But if these aren’t to your liking, take our simple guide below as the starting point to finding the ideal sake to complement your drinks menu. 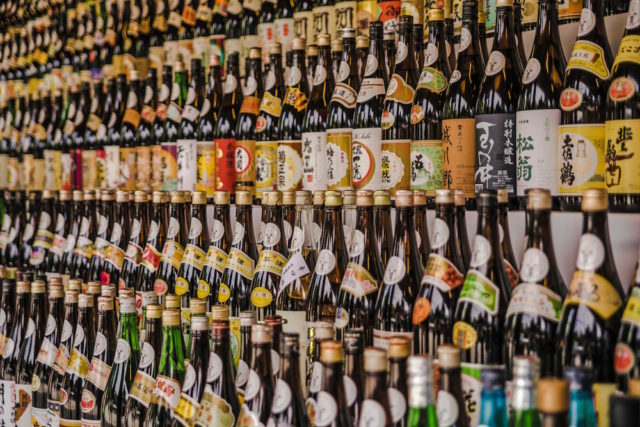 A great introduction to sake. Those who like sparkling wine will love this. It’s extremely easy to drink. It has a hint of herb on the nose, which is a nice contrast to the strong banana and apple aromas often found in sake consumed locally in Japan. The flavour is very light and elegant, and the finish is delicate and dry. Drink up! The rice used in this sake was developed by the Dewazakura Sake Brewery and the local agricultural bureau in the Yamagata prefecture. It is a very soft and deep flavoured style of sake with characters that resemble wine. It has hints of herbs, yeast and mushrooms, zingy acidity and a clean, fresh finish. This sake is made at the Sekiya Brewery, located about halfway between the popular destinations of Tokyo and Osaka. It’s a beautifully balanced junmai sake (no alcohol added) with a gentle, savoury and floral aroma of grains, brown mushroom, yellow flower and ripe fruit. The palate has a gentle acidity and fullness to it; it’s also smooth and has a nice dry finish. The prefecture where this junmai sake is made, Ishikawa, is known for creating quite complex styles of sake and this expression reflects that. It has been matured in a tank for over 12 months, giving it a golden colour. It has spice aromas and is rich and complex on the palate, with savoury, creamy, citrus characters, which linger in the mouth for an incredibly long finish. This sake is aged for three years prior to bottling, which is unusual for sake, with most bottled and consumed in the same year. This creates a more complex, but still well-balanced and fresh sake. It has hints of white flower, strawberry, fresh mint and green herbs on the nose. It also has flavours of strawberry, musk, ginger, herbs and a strong ginjo-ka (fruity, often banana or apple) character. Now for something completely different and delicious! Sake flavoured with fresh yuzu juice, grown in the same prefecture the sake is made in – Kochi. It has a refreshing citrus, mostly lemon-like aroma and flavour, best served on its own or over ice before dinner as an aperitif or after dinner as a digestif or for dessert.